We offer an extensive range ofKentuckyMopBuckets to our customers. These have gained a wide amount of recognition in households and offices, across the global market. 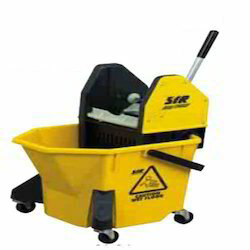 These mop buckets are manufactured by using the finest quality raw material of steel and plastic. These buckets are designed for maximum strength with reduced weight. It also has a removable drainer with compression handle that renders the highest levels of convenience to the users. Designed for domestic and commercial use. 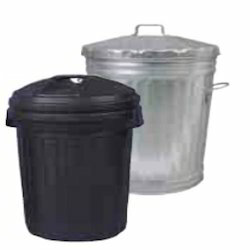 Plastic bins are not suitable for use with hot ashes or large, sharp swarfs. This little gem is ideal for model-making etc. Supplied with a self-centring three jaw chuck, four-way tool post, swarf tray,rear splash guard, emergency stop button and chuck guard. A variety of useful accessories are available (see list). Manufactured to meet European Machinery Directive 98/37/EC and is both CE and RoSH compliant. Similar to a free standing rack by mobile. Fitted with four 5" castors to the base which supports double sided Louvre Panels. Available in one height and two widths. Ideal for office environments. platform size: 616 x 916mm. 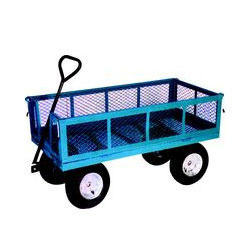 We are offering our clients Heavy Duty Hand Cart with heavy gauge steel mesh bed and sides. Sides can be folded down, removed or locked in an upright position. Includes handle hitch for tractor towing. Heavy Duty powder coated paint. 10’ (25.4cm) tyres with tread. 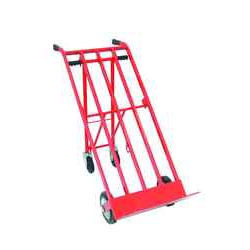 Cart dimensions: 1235mm x 615mm x 690mm. 3-in-1 HeavyDutyTruckwith capacity 350 Kgexhibits sturdy structure, which makes it suitable for weighing heavy material. These heavy trucks comprehensively used to for heavy-duty applications in various industries. The entire range of these trucks manufactured with high-grade raw material and ensures optimum efficacy during the concerned process. These are currently the most popular models in demand clients can avail from us at affordable price. 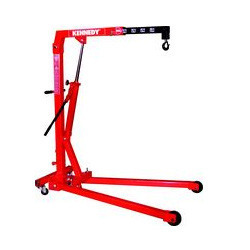 FMC001 1-Ton Folding Mobile Crane is ideal for home workshops or garages. Folding design for easy storage and transportation. Flow control valve for precise lowering and positioning. Overload safety valve. Hydraulic operation providing easy lifting. Heavy duty swivel hook with safety latch. 4 different jib options. Heavy duty castors. 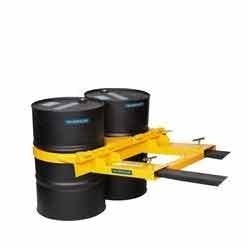 Deal for handling 205 Litre (45 gallon) drums. Supplied with certificate of conformity. Available with capacities from 250Kg to 500Kg. 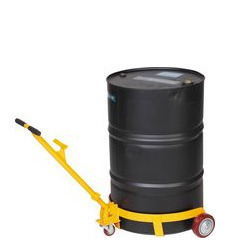 Caddy - Allows 45 gallon drums to be easily transported. Ideal for drums requiring multi-location use. 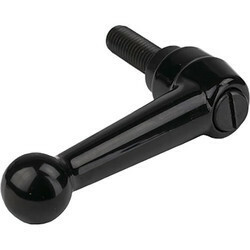 Detachable pulling handle can also be used as a drum lever and bung key. 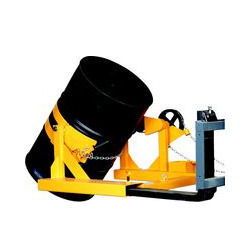 Range of attachments to adapt the forks of a forklift to enable safe transportation and distribution of 250 Litre (45 gallon) drums and contents. Secured via hand screws. Once fitted, the drum clamp will automatically pick up, transport and deposit drums without the driver needing to leave the truck. The drums are held in position by using their own weight to tighten the arms. When deposited the arms of the clamps simply slide away from the drum. Suitable for 205 litre (45 Gallon) Steel Drums in either single or double drum configuration. 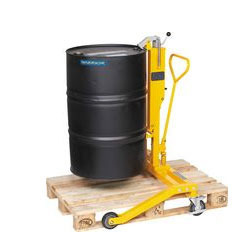 Ideal for handling 205 Litre (45 gallon) drums. Supplied with certificate of conformity. 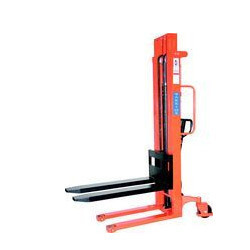 Available with capacities from 250Kg to 500Kg. 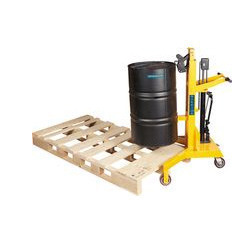 Plus - Will lift and transport drums up to 450Kg. 90 degree legs for easy pallet loading/unloading. 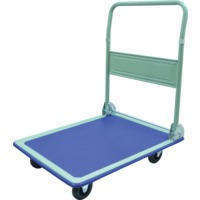 Drumporters Override - will straddle pallets up 800mm wide for loading and unloading. 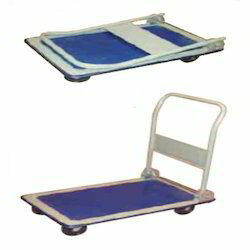 We offer our client Folding Multi Purpose Trolley (80kg capacity). 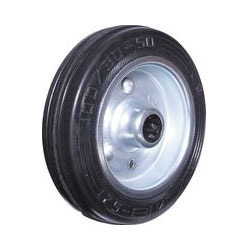 Large 200mm solid rubber sack truck wheels. 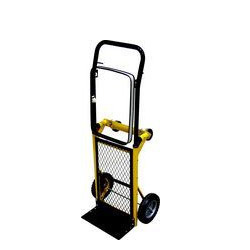 Two 360° platform truck casters for easy maneuverability. Removable handle for easy storage. Flat packed for user assembly. 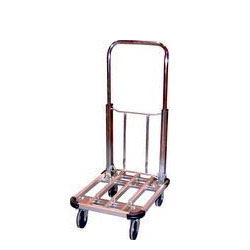 We are offering our clients Folding Aluminum Trolley (150kg Capacity). Lightweight aluminum. Ideal for delivery vans. 2x fixed and 2x 360° 100mm diameter solid rubber castors. 670 - 956mm telescopic handle. Base size: 500 x 415mm. Quiet running with "cushioned" tyre suitable for humid environments where medium harsh chemicals may be present. Not recommended for use with organic solvents, chlorinated substances, hydrocarbons or mineral oils. Operating temperature range -20°c to 60°c. 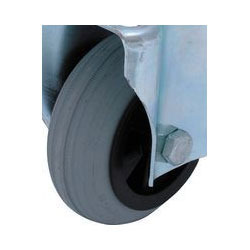 Black Rubber Caster Wheel with steel center. A cost effective way of handling goods. 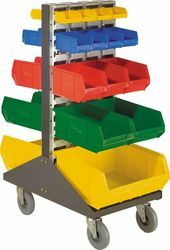 High quality materials and build give these stackers durability and value. Two options of lift height 1600 and 3000mm. Easily manoeuvrable using the steering/pulling handle. Hand operated safety brake and steering wheels with foot guards. •Two tandem lift chains. CE marked. •Fork size (W x L): 160 x 1150mm. WRFFS1016: min 85mm, max 1600mm. WRFFS1030: min 85mm, max 3000mm.